As a specialist bookseller we are the one-stop shop for all official and business publications, supplying titles from a range of Publishers, Distributors, Government Departments and International Agencies. Examples being British Standards Institution (BSI), The Stationery Office (TSO), National Statistics, Health and Safety Executive (HSE), United Nations (UN), OECD, Ordnance Survey and IMO Publications. We also sell the full range of driving test books from the DVSA as well as many other titles such as the British Pharmacopoeia 2019 and European Pharmacopoeia 9th Edition. 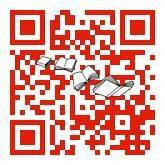 We also have a Dangerous Goods Books section selling the ADR 2019, RID 2017, IMDG Code 2018 etc. 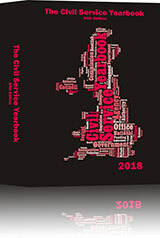 We have also just published the 54th Edition Civil Service Yearbook . The ADR 2019 Carriage of Dangerous Goods by Road Regulations is available to order. Order your copy of ADR 2019 now for just £145.00 and receive a FREE Copy of SI 1348 2009 and SI 1885 2011 and Dorema U-Tabs for ADR.